A team of software developers has been awarded $250,000 for creating technology that could potentially help detect and remove slave labor from major supply chains, reported The Wall Street Journal. The award was presented by Humanity United and U.S. government agencies. Trace Register and Sustainability Incubator worked together to create software that will allow seafood companies to more properly vet suppliers by determining the levels of risk for slave labor within their operations. The tech works by administering an online survey about sustainability and quality control, explained the source. These questions include things such as number of migrant workers in supply chains, recruiting practices etc. Based on these answers, the software assesses different parts of the supply chain and the level of threat. It can even cross-reference information with other existing resources such as public data and non-profit research. Unfortunately, slavery in supply chains is no new topic in the seafood industry. Late last year we reported on an AP investigation that uncovered just how deep slavery runs in the seafood industry. Huge names like Wal-Mart and Red Lobster were connected to forced labor via their shrimp suppliers. According to the report, Thailand is a major contributor to this problem. Despite continued promises of reform, the country is plagued by unethical and low-cost labor. This very environment has led Thailand to become one of the biggest shrimp providers on the globe. The report interviewed former workers who claimed they peeled up to 175 pounds of shrimp daily for as little as $4 per day. Not only did this report bring the supply chain slavery epidemic into the spotlight but it ended up winning a Pulitzer this year for public service. This new technology is one of the many moves toward supply chain transparency due to an increased pressure from consumers, activists and governments alike, explained The Wall Street Journal. 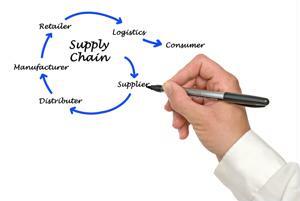 Effectively monitoring these supply chain relationships is no easy task, however. The global nature of business today means that supply chains are often complex webs with varying levels of oversight. "The presence of forced labor in corporate supply chains is a systemic problem that has been difficult to address," said Director of Investments for Humanity United Catherine Chen. "It is our hope that these technologies will give business, workers, and governments helpful tools for greater transparency and visibility." According to figures from the International Labor Organization, reported on by WSJ, there are an estimated 19 million victims of forced labor across the globe. This labor creates $150 billion in illegal profits annually. Leaders across every spectrum of organizations will need to actively work to increase supply chain management and transparency to end the slavery epidemic. Technology such as the software created by Trace Register and Sustainability Incubator helps businesses everywhere move one step closer to this goal.